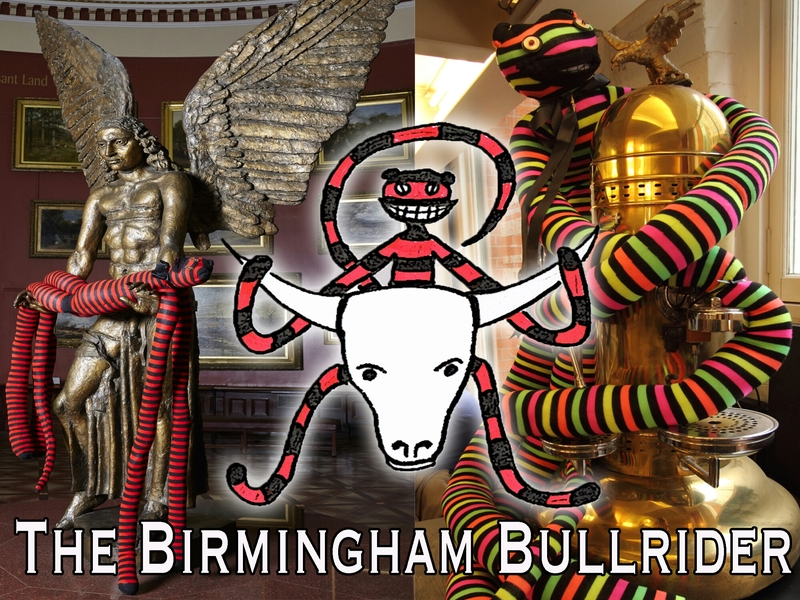 For I am the Rider of the Bullring Bull, The Ninety-Sock Poppet, a creature of two-dozen parents, and the giant of the caperers! In 1972 a five and a half metre tall King Kong statue by Nicholas Monro stood at the Bullring. It was loved by the community, featured in protests, and after leaving the Bullring moved around Birmingham, visited Edinburgh and now enjoys a quiet retirement in Penrith. So I made it a new one. In May 2015 I launched a Kickstarter campaign to fund the gargantuan poppet. In June it was funded. In July it was finished. In August it Earned its name! First up there was the public viewing at The Big One, Home for Waifs and Strays’ final event in Unit 9 Minerva Works. 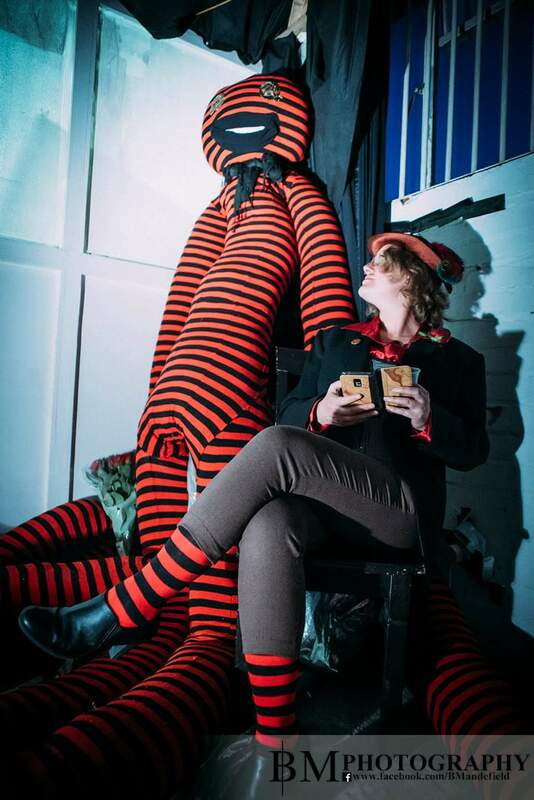 The intention is for the poppet to continue its capers by visiting various arts establishments over the next few months – more information as this happens. KEEP IN THE LOOP – JOIN THE FACEBOOK COMMUNITY!